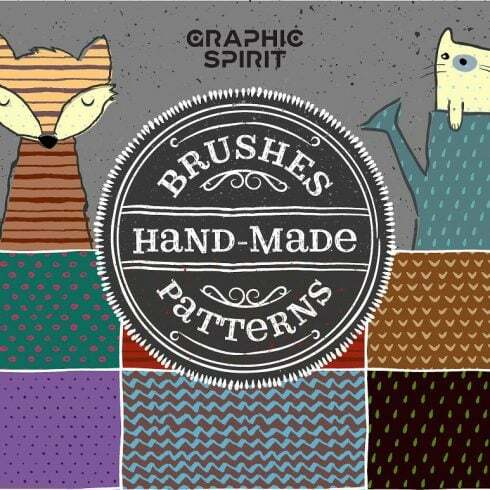 This is a set of brushes and patterns for Adobe Illustrator CC+ users. The definition of a Hand Made Brushes & Patterns? Each work of art, regardless if it is a painting, statue or web page design object possesses two to three dimensions. Other than colors, shapes, and size it additionally has some qualities of the surface that is perceived visually. When looking at the picture you can point out that it’s hard, coarse, glossy, fine or tough. Now you know what a texture is. What a Hand Made Brushes & Patterns is? The design pattern can be described as visual composition you can observe just about everywhere and each and every day. Even your dwelling is full of patterns, for example, on the wall-paper that dress the wall surfaces of your living room. The design pattern is an element of the image which is replicated on and on to produce a bigger, symmetrical and geometric picture. Both the textures and patterns are widely used in pieces of art. Site designers love to rely on them due to the fact textures and patterns certainly are a perfect backdrop for a webpage – they do not distract the website visitor but underline the actual essence of the page. On top of that, textures and patterns can be used for other design and style functions (as an example, in home decor or architecture). It is too costly to purchase them individually, which means that usually they are bought in bundles. The bundle is really a kind of set or collection of items. They are accumulated into a “box” and are advertised collectively, as one product. Usually, there’s some topic or purpose that integrates the design items in a product bundle, but that is not really mandatory. The time, as the package deal is offered, could be very small (as many as five days) and that’s why the price for it is less than those items would cost you when marketed on their own. 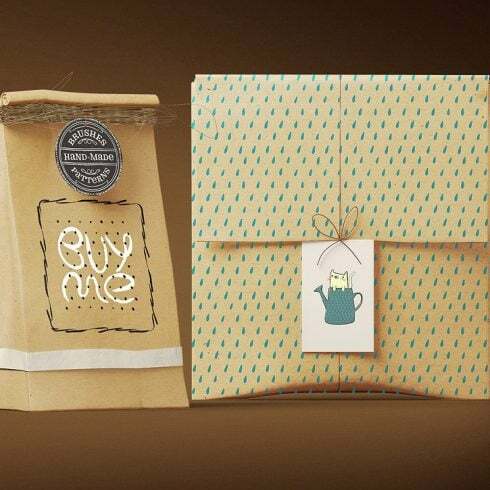 Package deals are quite rewarding and make it easy for web designers to save some good dollars. Why Hand Made Brushes & Patterns are essential? What do you do if the design element you require is not in the bundle? Not every product bundle carries items you need which is really common. Deals are developed for various purposes . However, MasterBundles.com website offers a large number of offers for almost every purpose, so if a certain design bundle doesn’t include all the products and solutions you need – go and check the others. There are so many of these, that it’s almost certain you’ll find something appropriate. What other bundles does MasterBundles.com sell? MasterBundles website provides a lots of patterns & textures bundles, both natural and artificial. Their price tag varies from $4 to $19 and those design items are all top quality, items created by professionals. Having said that, textures and patterns aren’t the only products MasterBundles could provide you with. There are font bundles, mockups, illustrations, ebooks, icons, logos and photos, plus a lot of other items. You might in fact find website themes on MasterBundles for a lower price! MasterBundles.com is an internet marketplace. On our website, pro web designers offer their designs at the best prices. This site offers the best design bundles on the market, and our deals are well praised by buyers. Visit our blog, it really is packed with practical and motivating information for pro designers. Additionally, for those who register for our newsletter, you’re going to be the first to be informed on our discounts. There’s always discount codes and promo codes offered to chop the price to a minimum.